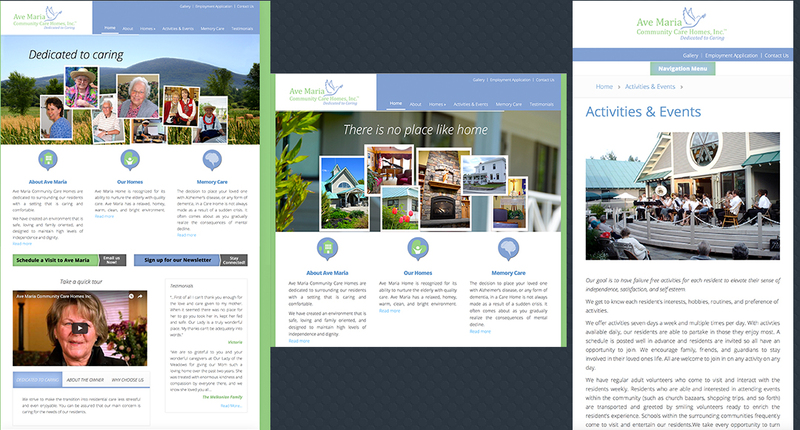 Ave Maria Community Care Homes are located in Richford, VT. Rosepapa Creative worked with the owners remotely to create a website that represents their brand, services and vision for care. The website highlights the homes, caring staff and activities. The welcome video on the home page welcomes new visitors and sets the stage for what one can expect when having to choose assisted living and memory care.